Lifestyle: Attend private concerts, tastings and gallery openings, or access Magnises x Tablelist lounges across New York City and beyond. Nightlife: Never pay entry at the city’s best nightclubs, lounges bars and events. Take advantage of perks like skipping the line, +1s, complimentary drinks, and a 24/7 concierge to help plan it all. Community: Build connections with a diverse group of professionals from around the globe. Strengthen your professional network and social circle. Card: Your personalized Magnises x Tablelist card is your key to the city. It also functions as a payment tool when linked to an existing credit or debit account. Labor Day access to the Platinum SkyDeck at Electric Zoo Wild Island: Enjoy premium access to the Electric Zoo festival on Labor Day weekend. Includes VIP entry and exceptional views of festival headliners like Tiesto and The Chainsmokers. 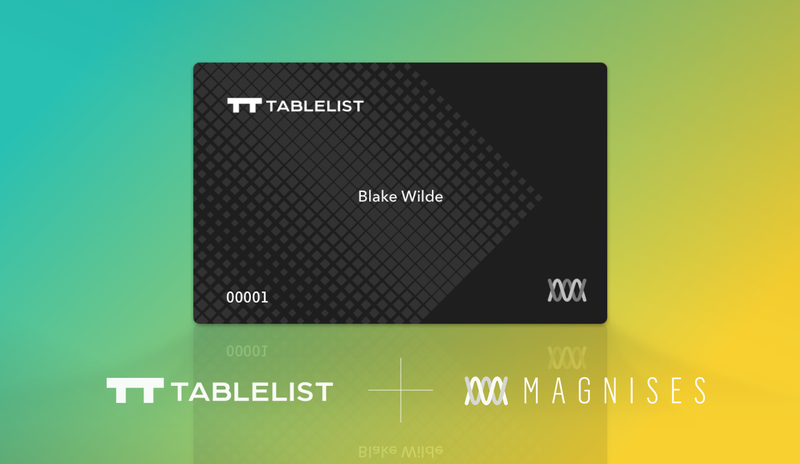 Get the Magnises x Tablelist card today for $700 (a $850 value).